HOUSTON (CN) – Two companies reached an agreement with the U.S. Environmental Protection Agency to remove cancer-causing pollutants from a Houston riverbank, a deal spurred by damage Hurricane Harvey did to caps containing the toxins. 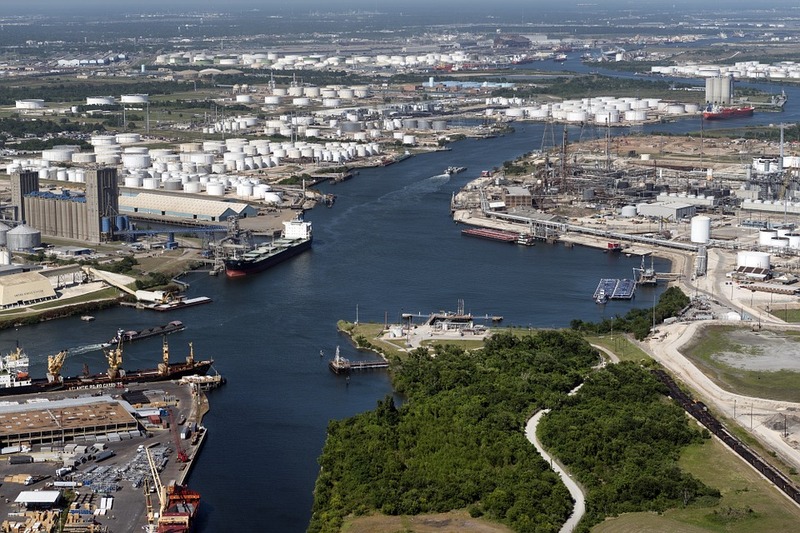 International Paper Company and McGinnes Industrial Maintenance Corporation, a Waste Management subsidiary, plan to remove 212,000 cubic yards of contaminated soil from the San Jacinto River waste pits Superfund site at an estimated cost of $115 million, the EPA announced Monday. Near a heavily traveled Interstate 10 bridge in east Houston, the San Jacinto River waste pits have been quietly seeping dioxin and heavy metals into the river and downstream to Galveston Bay for decades. The EPA added the pits to the national Superfund site list in 2008, acknowledging they are highly polluted and a cleanup priority. Rain from Hurricane Harvey swelled the San Jacinto River to record levels last August. Samples collected by an EPA dive team in September revealed the waste pits’ caps had been damaged by Harvey flooding, and toxic levels of dioxin had seeped out. The samples showed dioxins above 70,000 nanograms per kilogram (ng/kg) of sediment. “EPA recommended clean up level for the site is 30 ng/kg,” the agency said last October. Monday’s settlement finalizes negotiations the EPA started with International Paper and McGinnes Industrial last fall, at the urging of EPA Chief Scott Pruitt, who visited the site in September and met with environmental activists to discuss the damage. Pruitt said in a statement Monday that the EPA and Texas Commission on Environmental Quality will manage the project so the toxins are removed as quickly and safely as possible. Still, the EPA estimates it will take 29 months just for the companies to come up with a plan for the cleanup. The soil removal will start after the plan is hashed out. The source of the waste pits’ pollution is a paper mill in Pasadena, a southeast Houston suburb. International Paper acquired the mill in 2000 when it merged with Champion International Paper. Champion had contracted McGinnes to dispose of the mill’s waste in the 1960s and McGinnes put it in containment ponds it built on the banks of the San Jacinto River. Over the years, the pits sank in a natural process called subsidence, and became increasingly inundated by the river, leaching more and more toxins into it, before they were capped with concrete and large rocks in 2011, which the EPA called a temporary fix. Though McGinnes initially disputed the EPA’s claims that Harvey had damaged the pits’ caps, it said on Monday that it is now committed to working with the agency. “We will continue to work collaboratively with the agency and other responsible parties to ensure a safe, protective and effective remedial design for the site,” McGinnes said in a statement. International Paper also expressed its support for the settlement. “The company is committed to protecting public health and the environment … We look forward to continuing to work with the EPA and other stakeholders to perform the remedial design,” it said in a statement.